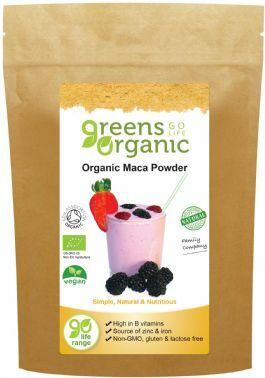 Greens Organic Maca Powder is produced from in a vegetable grown in the South American Andes. It is grown in a pure, unspoilt and organic environment. Maca has been used for thousands of years and was favoured by the women of the ancient Inca tribes for its properties. Zinc in Maca contributes to normal fertility and reproduction. The Iron contributes to the reduction of tiredness and fatigue. Peel the kiwis and remove the nectarines stones. Blend all ingredients together.